I know finishing college can be a pretty sad time for some, while it is what they’ve been waiting for in case of others. But unfortunately, you do not have a chance to grieve for the end of your student life. That’s right my friend; it is time to move on. However, you have the whole of India at your fingertips…as long as you are prepared for your future. StudyBud is an online assessment learning platform which is especially useful for people finishing college – people like you. If you have an idea of a career you want to aim for, then you should be looking at this online evaluation website. Even if you don’t know what you want to do in the future, it is likely to give you a few ideas. Honestly, I wish I had access to something like this when I left school. But, why is this even relevant? Online educational helpers like this are very useful for those who haven’t had the chance to work on individual skills. With this company, you can refine your knowledge about many topics including engineering, computing and verbal ability. There are plenty of other similar websites out there, available to anyone and everyone.However, StudyBud is the only one that cares – its small team gives it the personal touch that other companies lack. Also, this particular online assessment meets many requirements that others do not. It opens your eyes to important factors like company specific preparation that similar online study helpers do not do. This online aid also makes a pretty nice change to the classroom studying that you are used to!Online learning is also critical, not just to the young Indian men and women, but also to the country itself. Why is special preparation necessary? Company specific training is extremely critical.Unfortunately, many other analysis programmes do not focus on preparing you for a particular company – instead, they teach you in a far more general manner. However, StudyBud does supply you with all the assessments you will need for specific business placements and skills. How does this platform help? StudyBud is a highly useful website as it doesn’t only get you ready for your future, it allows you to learn and develop your skills further. As well as focusing on the main attributes to getting you a job placement in a company that other assessment pages do not, it also has many other special features that grant you the opportunity to excel in your area of study. The evaluation company gives you the opportunity to keep track of your educational progress post-college, ask questions from high-quality teaching instructors as well as testing your knowledge with hundreds of mock trials. This unique website also informs you of trends in your weaknesses and strengths. You are also able to compare how you are doing to your friends, ultimately giving you boasting rights (not that I promote too much arrogance!). The founders of this impressive study website are two friends who have known each other since 2006.They are Anubhav Jain and Dhruv Bhushan – chief education officer and chief motivation officer (two people who know what it is likely to have fancy-sounding titles to their names). There are also other members in the team, including a technology officer, mentors and advisors – all of whom are there to help you and your future (the name of the website doesn’t lie – it is your ‘Study Buddy’). The Importance Of Online Assessment to Placement Preparation. Work placements are a golden opportunity for students to gain some invaluable industry experience. But with increasing competition among students, online preparation tools are becoming a valuable resource. Companies use the interview process to identify candidates with strong all-around applications. There are many areas to consider with your request, employing several rounds to screen candidates. A strong candidate thus needs to treat each section with equal importance. This is where professional guidance provides an advantage. In-depth Knowledge of current market requirements based on professional industry links. With no ulterior motive in the industry, it is in their best interests to make a student’s application successful. As a business model, the company’s future success is entirely dependent upon their client’s success. Offering additional teaching and support, online companies such as StudyBud, provide several benefits. The main advantage afforded by an online company is the depth of resources available. There’s an enormous amount of information, tests and analytical tools instantly accessible. Not only are they available in a variety of media, but they’re also always available. By offering online preparation for placement, an added flexibility is provided. It allows learning to be undertaken both at a time and at a pace of your choosing. With further personalisation options such as customisable quizzes and the ability to make a quick online assessment, creating a tailored learning plan is fast, straightforward and efficient. It can also be updated as you progress. It has long been understood that knowledge is power. Knowing what a company requires of its employees allows you to adapt your application accordingly. With any application, it’s important to be able to capture the employer’s attention. All recruiters begin with a list of criteria specific to their company’s needs. This is initially used to identify potential employees from all the applications they receive. But it is also used further in the recruitment process to choose a suitable candidate for their needs. Understanding what a company wants is critical to being able to provide them with it. In addition to the multitude of facets involved with every employment application, there is a vast amount information available to help negotiate this process. But as there is a broad range of industries in this world, there is also a wide variety of techniques employed by the various employers. This is where expert advice and inside business knowledge can make a difference to your application. To maximise your chances of getting not just a job, but the very best job. StudyBud is a company offering a holistic package for improving your chances of post-education employment. Offering unique personalised development programs and company specific preparation across many industries. The transition from learning to earning is carefully mapped out for you with support at every stage. Author gaiaPosted on February 18, 2017 February 18, 2017 Categories Portfolio, SEO, Content Princess, Blog Posts, EducationLeave a comment on The Importance Of Online Assessment to Placement Preparation. There’s nothing quite like a good pair of shoes, is there? Men’s shoes are no joke, especially when it comes to putting our best feet forward and making a lasting impression, and that’s where Scentra.com becomes your best friend. We understand the nuances of fashion. It’s not just about getting the right look; it has more to do with getting that perfect feel and that is something not a lot of people understand. You need to be best buds with someone for them to be able to pick out that exact something that makes you hum a sweet tune. Men’s shoes are no piece of cake here, especially with the entire hullabaloo about the right shade of black in your shoes going only with the right shade of your shirt.All of this adds up to a lot of confusion about men’s fashion, something, to which many of us don’t pay enough importance. Shoes are great apparel as a wise man once said. Now moving on from men’s footwear to the holy grail of the fashion industry: women’s shoes. A woman is as happy as her feet are, or rather as fashionable as her feet are.This is something that almost every designer in Milan or Paris would bet their annual shoe designing budget on. Women’s apparel takes on an entirely new dimension as we approach their footwear. The idea that we work with here is that we only forget everything we think we know. That is a good strategy, especially because nine times out of ten, it is true. Scentra.com brings out the inner foot fetishist in everyone, with our scintillating designs that will leave everyone, right from the customer to those observing her nattily dressed up feet, spellbound. Not to mince words, but if there were a prize for the best fashion buddies, there would be no prizes for guessing who would win it every single time – yes, you did guess right, Scentra.com. Moving on from footwear and shoes to probably the only area of female fashion that has most designers and fashion gurus quaking in their shoes and high heels – the ubiquitous women’s bag. Now you might ask, what is there in a handbag that is worth all the fuss? We tell you, it means everything. Starting from the way you carry it to the manner in which you match it with the right dress, the women’s bag is more than just another fashion accessory; it is fashion. Women’s fashion apparel might come full circle, starting from their shoes and moving on to their bags. Let’s move full circle on men’s fashion too by taking some time out for their bags. Men’s bags range from wallets to satchels to leather bags and briefcases for the office. Most of the fashion here falls under formal wear, and that does perfectly okay since it brings out the official look more. Scentra.com has its hands in almost every pot of fashion. Bags, shoes, you name it, and we are already there, ensuring everyone’s reaching up to a certain high standard in style. Organic accessories are becoming a new lifestyle. More and more people are shunning products manufactured unethically or cruelly. It started with Vegan diets, which had its roots in the grave matter of animal cruelty. Then the ghastly truth about blood diamonds was revealed, leading to further more pressure. Now it’s finally shoes, belts, and bags. The world now consists of two types of people. Individuals who have changed with sincerity and raised their voices against sweatshops, natural resources’ exploitation, deforestation, pollution and various other global issues. The others, well you know they are surfing Pinterest & Instagram sharing the same. It was because of the efforts of the former that brands are now becoming conscious of their customers’ preferences. Brands have taken up the causes, mixed them with their strategies, and have come out with organic/ ethical/ vegan products in every form. The latest trend picking up are vegan/ organic shoes and bags. Why Give Up on Leather? Many large brands are accused of exporting their products from such sweatshops. Leather puts stress on animal cruelty and the environment. Tanning of leather requires the use of many chemicals. The industrial waste is then dumped into rivers or land, causing these chemicals to harm the environment. Another reason to shun leather is that animal farming for their hide is a grave threat to animals. Vegan leather is faux/ artificial/ eco-friendly alternatives to leather. If you believe, that without leather you can’t make a style statement, then you are in for a surprise. We have a list of alternative leather that will give a new meaning to your lifestyle. A hot trend of tightly knit wash made from the bark of Kozo trees. This is then cut and lined for making women’s bags. Many top fashion houses such as Bottega Veneta, Engage Green, etc. have incorporated this in their accessories’ lines. Corks have been long used to keep your favourite champagne fresh, but now they are used to manufacture women’s bags, men’s shoes, as wells as umbrellas. Christian Louboutin and Chanel are already making a statement with corks. Not a very popular fruit, but makes an awesome dress! Our next vegan leather on the list is made from waste parts of the pineapple bush. The material feels and looks like leather, is water-resistant and very durable. Fashion houses have taken up the challenge to make recycled rubber a sought after fashion material. Recycled rubber can be given a leather texture that’s glossy and chic. Paguro makes stylish unisex bags and cuffs for men from this easy-to-care-for material. Tote bags are old names, say hello to organic waxed Cotton. Marc Jacobs have picked up cotton and made it into a water-resistant uber cool material to make shoes and bags for both men and women. After reading about cork, this one should go down quickly. The leather is made from sustainable timber. The wood leather is durable, robust and unique due to its natural ingredients, making it suitable for coats and trousers. D & G have even used it to make women’s bags. 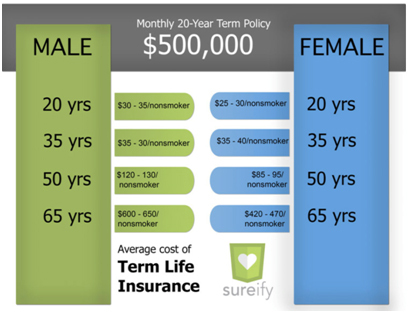 As we grow old, one of the most pressing issues that we have to deal with is life insurance. What are we going to leave our loved ones after we die? What happens if I die suddenly, and my family has no way to support themselves? We ask ourselves these questions, and many of us have no answers. In fact, only 44% of Americans have a life insurance policy of their own, while 80% of Americans say that they need to purchase life insurance. If you are one of that 80 %, Aegon iTerm plan might be the option for you. There are many life insurance plans out there, but most of them are going to be the wrong option for you. They all promise to provide only the best service and give you the most for your money, but this is not always true. Aegon Life is guaranteed to give you the lowest prices for your life insurance. They are primarily concerned with providing you with the best life insurance for both you and your family and will help you as you progress through life. Life insurance should give you more user benefits than simply paying into a fund so that one day your loved ones will receive a lump sum of money. With Aegon iTerm plan, the sooner you begin paying into your life insurance, the more you are going to save. Rather than listening to what Aegon has to say, however, it is better only to look at the numbers to find the best life insurance. When comparing Aegon to some of their biggest competitors, including Kotak and Aviva, it is clear that Aegon has more affordable premiums. 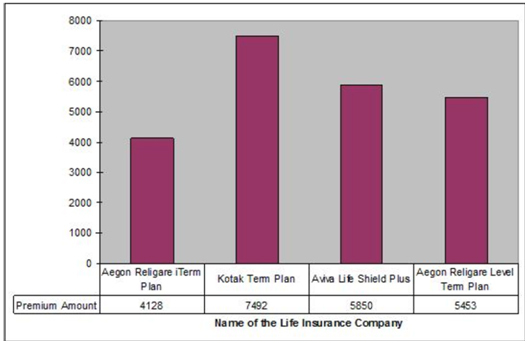 The Aegon iTerm life insurance plan has by far the most affordable life insurance, coming in at almost half as much money as their competitors. 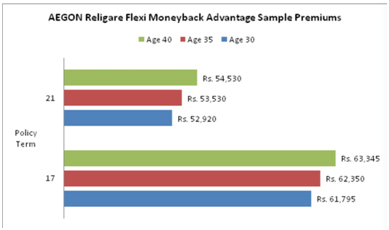 When you look at the numbers, Aegon’s new Religare iTerm plan comes in at 4,128 rupees, whereas the competition comes in at 7,492 rupees and 5,850 rupees. Aegon has made their name in the life insurance industry for offering the most comprehensive and affordable life insurance options. However, when they unveiled the Aegon iTerm plan, they made life insurance coverage affordable for everyone. Even if you do not have the highest paying job, or you believe that you are not in the financial position that you have to be to get life insurance, the iTerm plan is for you. Everyone deserves to have the security of knowing that if the absolute worst were to happen, their family would be looked after. The traditional view continues to be that graduates of liberal arts are at a disadvantage when it comes to pursuing a career in tech. Indeed salary figures do still support this opinion with humanities graduates making on average around $20,000 less than graduates of engineering or computer science based degrees. Liberal arts graduates should not, however, be put off pursuing a career in tech. More large tech companies have gone on record praising the value of arts graduates, and have shown through their business practices, that to be effective in the marketplace, it is often better to recruit people with a more diverse range of skills and abilities, rather than simply focusing on engineers. So if you are concerned, that your history or philosophy major was a waste of time and money; take a look at these 5 CEOs who bucked this trend proving that you might have a future in tech after all. A graduate of History from John Palmer University in 1973; John went on to head one of the worlds largest and most well know computer companies in the world. After graduating, he started his career as a salesman before rising through the ranks at IBM, and eventually almost 30 years later became CEO and COO. Since his departure from IBM, he has been drafted in by President Obama to head up a government cybersecurity division, which is in charge of defending the US from cyber-attacks. Peter Thiel studied Philosophy at Stanford and has gone on to have a superb career in tech. As one of the three co-founders of Paypal in 1999, Thiel and his colleagues later sold the company to E-bay for an astounding $1.5 billion. He then went on to become the first outside investor in Facebook, and founded another tech security company in 2004, called Palantir, which was in part funded by the CIA. Described by Time magazine as the “the most powerful woman on the internet”, and included in the Top-100 most influential people of 2015, is YouTube CEO and Harvard History graduate Susan Wojcicki. Susan started out her career at Intel before moving to Google in 1999, where she quickly ascended the company ladder, and can proudly boast the development of AdSense as one of her many outstanding achievements in the tech industry. A student of Government and Liberal Studies at the University of Notre Dame; Daniel Hesse started his career at AT&T before eventually becoming CEO of telecommunications giant Sprint Nextel. Further reiterating the notion that arts graduates can play a significant role in tech companies, Daniel led the company out of dire financial problems by focusing the company’s efforts on the improvement of customer service, which would eventually prove pivotal in turning the company’s fortunes around. Daniel now works on the board of directors for E-Commerce company, Akamai, which may well be fitting, as “Akamai” is the Hawaiian word for “Intelligent”. On the surface, technology is a field in which you must have some kind of computer or engineering knowledge and expertise. This is the common belief of society, and is largely true. However, a new trend has emerged in recent years. Many of the largest tech CEOs have a liberal arts degree. This goes against everything that people know, but it has had resounding and highly successful consequences for these innovative companies. The tech business has realized that there is more to business than merely creating excellent products. One of the biggest and most influential benefits that companies with a liberal arts CEO, is that they have a new, unique, and creative point of view as to the company’s mission statement, marketing, and more. Liberal arts has long been seen as the dominating factor for teaching and sales, with more than 2.2 million people joining these work forces by the year 2022. Creativity is the hallmark of both teaching and sales, convincing people of either the importance of learning a concept, or by convincing the public to purchase a product. Jobs with liberal arts degree requirements require a constantly evolving set of creative skills, which are vital to the tech business. A Liberal arts degree does not simply have value of creativity, but also of communication skills. A creative CEO will still need to have persuasive skills, and be able to clearly and effectively communicate with investors, customers, and others within the company. Studies have shown that 2 out of 5 liberal arts majors are getting hired into tech companies due to the fact that they have specialized and fine-tuned communication skills that are applicable in a variety of contexts and situations. While 14% of the liberal arts majors from the top 20 schools go into tech business, almost all of these students are fluent in the power of social media. It has become a concrete and steadfast aspect of our social and business lives. The power of social media is why liberal arts are not dead, and why liberal arts majors make the most innovative CEOs. Social media relies on the basic premises that make up the liberal arts degree – innovation, creativity, and an understanding of human behavior. While the liberal arts tech community has grown, and is projected to grow continuously each year, engineering and computer sciences are expected to only grow 3% in the same period. Companies are not only looking for those who can build a physical object, they are looking for creative liberal arts degree holders to build a unique, and well-balanced business. To create a successful business, you need to think outside of the box, working with both the black-and-white world of engineering and science, as well as with the creative and unconventional world of liberal arts. Together, they are taking over the tech world. Unfortunately, coping with becoming visually impaired is a common way of life for many people thanks to diseases, injuries or other health conditions such as diabetes. One of the fundamental problems which loss of sight causes for people is the inability to negotiate unfamiliar places. It can also affect everyday life activities such as working, sports, or even building friendships. Ducere Technologies have created Lechal insoles which can connect via Bluetooth to your mobile device. You input your directions, and as you start to walk, the shoes will vibrate when you need to change course – either the right shoe or the left shoe – with the buzzing getting stronger the nearer you are. For people whose visual impairment includes colour blindness, to them, a whole new way of seeing the world could be made available thanks to Enchroma Lenses. They look like regular sunglasses but enable colour blind people to view a variety of hues. Many cell phone manufacturers are now incorporating original elements to make their handsets accessible for the visually impaired, including screen-reading, voice control, slide out keypads, and raised details on the keys to guide your fingers. While it’s not something you need on a daily basis, those looking for an exciting challenge might like to try the braille Rubik cube. Rather than match the colours, you match the feel of the braille squares. Imagine being blind and trying to make a cup of tea or coffee – how would you know when you had filled the cup with hot water? Well, thanks to the Braun Bell Concept Mug there is now no risk of burning yourself as it lets out a sound once the water hits a particular sensor, telling you to stop. Being able to speak the time is something we all take for granted, but if you can’t see, then how do you know what time it is? A brilliant invention to make everyday life easier for those whose sight is limited is the watch which lets you feel the time. The designs use breaks at the 12 o’clock mark and ball bearings to enable the wearer to feel the position of the second hand and the hour hand. A simple looking piece of jewellery can help blind people to navigate around unfamiliar places, as they contain full navigation options including GPS, audio and voice controls. This nifty and stylish gadget can contribute to maintaining a healthy level of independence. According to the World Health Organization, about 285 million people worldwide are considered visually impaired, meaning they are fully or partially blind. Visual impairment makes it tough to navigate today’s fast-paced, technologically-focused world. However, advances in technology are enabling innovative designers to create inventions which allow the blind and visually impaired to regain a sense of autonomy, agency, and dignity in a world which often undermines their potential. None of the major mobile companies such as Apple or Android has phones specifically built for blind people, although some models can be tailored for those with mild visual disabilities. The B-touch mobile phone by Yanko Design is a smartphone, equipped with touch screen technology, which is entirely designed for blind users. The phone uses a combination of a braille touch pad, high-contrast raised keys, voice recognition and camera word processing technologies to enable the blind to do many of the tasks of traditional smartphones. The sense of touch is highly underused in technology assisting those with visual impairments. One shoe company called Lechal had designed a pair of shoes which combines GPS technology with vibration to help the user navigate through his or her environment. The shoes vibrate the left or right foot when a turn is needed, and the designers soon hope to be able to identify obstacles ahead. Another design by Yanko, these flashcards enable the lifelong visually impaired to learn about different objects through three-dimensional diagrams and braille terms. Although this may sound like something out of a science-fiction novel, it has been used experimentally by over a hundred people. The company Second Sight developed Argus II to help those with degenerative eye disease (not those blind from birth) to regain some amount of vision. The device uses a combination of retinal implants, optical processing glasses, and electrical impulses to transfer light manually from the user’s environment to the visual cortex. Although it may not seem like the most useful invention, there are plenty of blind artists who are denied the opportunity for creative freedom. This touch colour tablet necessarily translates colour into critical temperature (a spectrum of tools for blue, purple, and green, and spectrum of warms for reds). This way, artists can paint using heat as their guide and can “mix” colours as well as sample colours from their environment. Another Yanko design called the “Feel the Time” watch has physical dots of braille moving around the clock face rather than two hands under a glass panel. This enables the blind to feel the positioning of the clock hands and tell the time. This mug enables the blind and the visually impaired to drink hot beverages like coffee and tea without risking burning themselves. Most blind people use their fingers to test the level of water in a mug, but this cup sends out a different pitch when the mug is low, medium, or almost full so that the visually impaired person can hear the water level rather than feel it.